Rarely do I have the opportunity to meet the chef managing two properties, The Settlers Inn and Ledges Hotel, at the same time. The Settlers Inn is a long time well-known Inn in Hawley, Pennsylvania and Ledges is a new contemporary boutique hotel in a 1800s abandoned glass factory. Just under a mile apart, Chef Ben Sutter does an exceptional job. 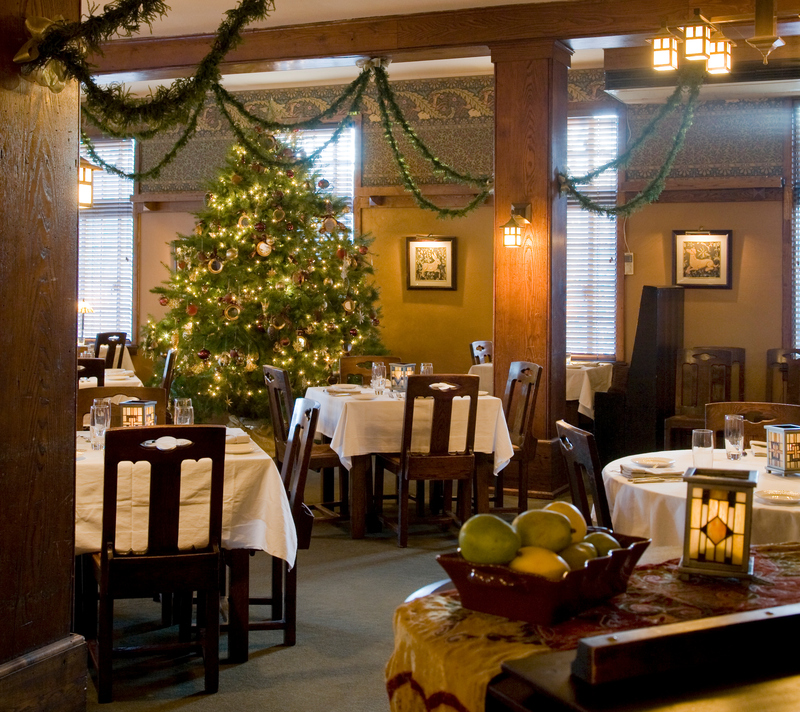 Ledges has a café, whereas, The Settlers Inn is famous for its dining room. In fact, it’s so famous, people drive from Philadelphia and New York on a regular basis to dine and spend the night. After our eight course pairing meal, we had a chance to meet Chef Ben. In addition to our interview, we convinced him to share two recipes. MDH: When did you start showing an interest in cooking and how did you get started? Ben: I started mixing Kool-Aid flavors at 4- does that count? My first serious interest was when I took a job as a dishwasher when I was 16, and then one day the salad guy didn’t show up and it was like, “Hey Ben, you wanna be a salad guy?” That night, I got my first steak as a thank you and I was hooked. MDH: What was your familie’s reaction to your career choice? Ben: This career has pretty much destroyed any normal family relationships. How many weddings have you been to in your life? I’ve been to one, my own. And I catered it. MDH: Did you do an apprenticeship or go to a culinary school? If so, could you tell us about it? Ben: I worked my way up. I’m a true self-taught chef, because most of the chefs I worked for couldn’t stand me. But I always showed up for work, I made the food correctly, so I kept moving up the rungs. I’ve definitely mellowed a lot, since running my own kitchen. I’d probably be more patient and pick up more mentors along the way. Grant at Settlers Inn had been a great mentor for me. MDH: Which is your favorite station in the kitchen, the hotline, pastry, etc.? Ben: Expediter for sure. In a lot of the bilingual kitchens I worked in, it was like being the referee at the United Nations. Everyone yelling – I loved it personally. I was in control, and yeah, that probably means I have some control issues, but I don’t know too many chefs who don’t. When something’s wrong, I’m asking for another one and when a cook needs a fire lit under him, I’m up to the task. When someone makes something exceptional, I like telling them that as well. It’s about leadership, and that has always been a strength of mine in the kitchen. Expediter is where the strongest leader needs to be. So it’s fulfilling. MDH: What is your favorite comfort food and is there a particular reason? Ben: I love fried chicken. Reminds me of a Sunday afternoon in the summer. My Mom made great fried chicken. But I also love sweetbreads. I still remember the first time I had them. To many people, that’s not comfort food, but to me it fits. Then again, I also love mashed potatoes, mac and cheese, oh and bread. I could live on good bread – all very healthy choices! MDH: Do you have a favorite dessert? MDH: What is your favorite type of food to prepare? Ben: I get a hint of satisfaction from preparing food that has a humble beginning. That takes skill to turn into something fantastic. 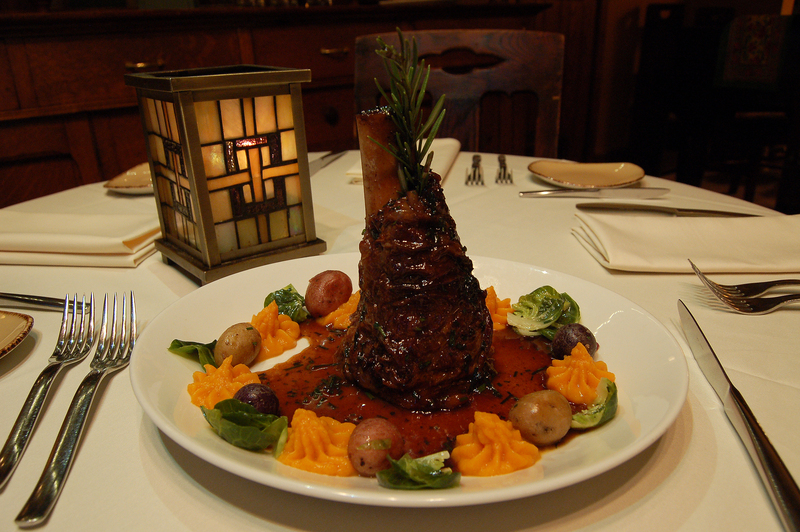 Something like a lamb shank takes more skill to make it great than something like a filet mignon. There’s nothing wrong with filet mignon, but it’s definitely more satisfying to cook the lamb shank. There are a lot of other things that fall in that category, things like pork belly or veal breast, but not all of them are meats. It also takes a lot of skill in vegetables, or to cook a really good gnocchi or a great celeriac purée. MDH: How do you personally view presentation? Ben: Obviously, presentation is very important. What’s that old phrase, “Sight before bite?” I used to like things stacked up as high as I could get them, but I’m not so much into that anymore. To me, presentation should be a logical display of how the food is to be eaten. MDH: What is your favorite cooking utensil? Ben: My line cooks Mike’s hands. It’s like he is wheeling heatproof gloves, but he’s not. He can touch and hold anything, no matter how hot. You should see him in action – very impressive. Wish I had hands like those. I’m kind of a sissy. MDH: If you could provide one or two tips for prospective chefs, what would it be? Ben: Don’t do it unless you want to do it for the right reasons. Money is tight, especially in the early years. Hours are as tough as a doctor in his/her residency. So unless you really enjoy the rush, and delight at a soul filling level in beautiful and delicious food, then find something else. There are careers where you can be half committed and succeed. This isn’t one of them. MDH: Do you cook at home a lot? Ben: Tons of PBJ for my two great kids! MDH: What are the highlights of your career, your “ah ha” or “wow” moments? Ben: So many, I could fill this thing. Big aha moments while working in Hollywood — famous people ALL eat weird; Larry King – huge plates of chicken fingers, we didn’t even have them on our menu; I puréed a mid rare steak once; Paris Hilton ate a well-done hamburger with nothing, absolutely nothing else on the plate; Mr. T actually wears the gold chains everywhere he goes. I could name a dozen more. They all eat weird. I was in my twenties – I thought these people were larger than life, but they are just people. When you go out, where do you go to eat? MDH: Do you focus on using local products? If so, to what degree? Ben: Yes, as much as the reduced growing season in the Northeast allows. MDH: How do you work with local growers, if you do? Ben: We have a couple who grow just for us. It’s always a struggle to find and keep farmers employed and hats off to them for hard work and little reward. But damn, they make some great stuff! 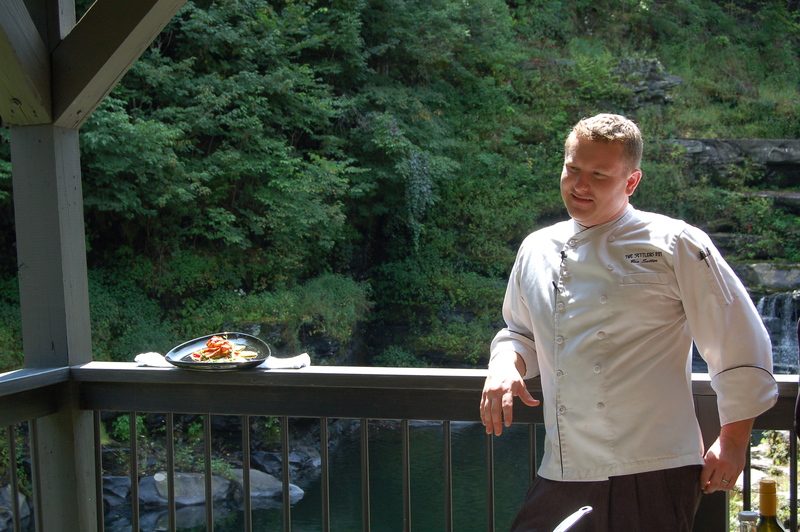 I also discovered Ben grew up in Pennsylvania and began his career at the Inn at New Berlin, under Chef Scott Brouse. Later, he moved to California and worked in various restaurants such as Saffron’s, The Sycamore Inn, Montage Resort, Hotel Bel-Air and landed his own kitchen at The Palm in West Hollywood. Returning to his roots in Pennsylvania from The Palm was a huge move and settling in at The Settlers Inn has been an ideal combination. Even though self-taught with mentors, Ben Sutter does have certifications from the Culinary Institute of America and the American Culinary Federation. To learn more about Ben, go to thesettlersinn.com and ledgeshotel.com. This would not be complete without our talented chef sharing two of his recipes. Season the Veal Shank with salt, pepper, and chopped garlic. Sear on high until golden brown on all sides. Place in roasting pan with onions, carrots, bay leaves, Rosemary stems, whole garlic cloves, red wine, and veal stock until ¾ of the veal shanks are submerged. Cover and cook at 350 degrees C until falling off the bone tender. Usually 6-8 hours. Blanch Marble potatoes in salted water until fork tender, remove from water. Set aside. Peel sweet potatoes, cook in water until very tender. Blend in food processor until smooth. Add salt and pepper to taste. Cook in salted water until fork tender. Shock in ice water and set aside. Strain the jus off the shanks and discard remaining vegetables. Heat potatoes, Brussels, and sweet potatoes and place on the perimeter of the plate (use a piping bag for the potatoes). Place shanks in a pan with some of the jus over high heat and stir in butter. Sprinkle in chives. Place one shank per plate and pour jus over to finish. Garnish with Rosemary. Mix all ingredients together, continue mixing 2 minutes. Pour into pan and bake at 350 degrees C until cooked through and toothpick comes out clean. Combine dry ingredients, whip egg whites and sugar together until stiff peaks, slowly incorporate dry ingredients by hand, Incorporate vanilla. Bake at 350 degrees C until puffed and dry. Heat cream and dry ingredients until steam forms, then slowly incorporate the sugar and eggs. Bring back to a simmer , sieve, and cool. Cut a circle out of the pumpkin cake and pour the glaze over. Pipe whipped cram on top of the custard and place the macaroon on top of the custard. 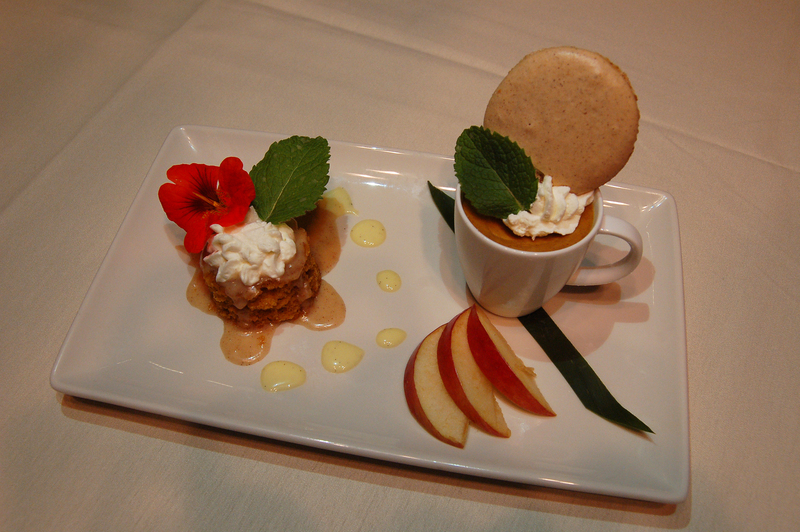 You an also garnish with mint, flowers and fresh apples, if desired. If using apples, dip in lemon juice first. Thank you Chef Ben for these delicious holiday recipes. 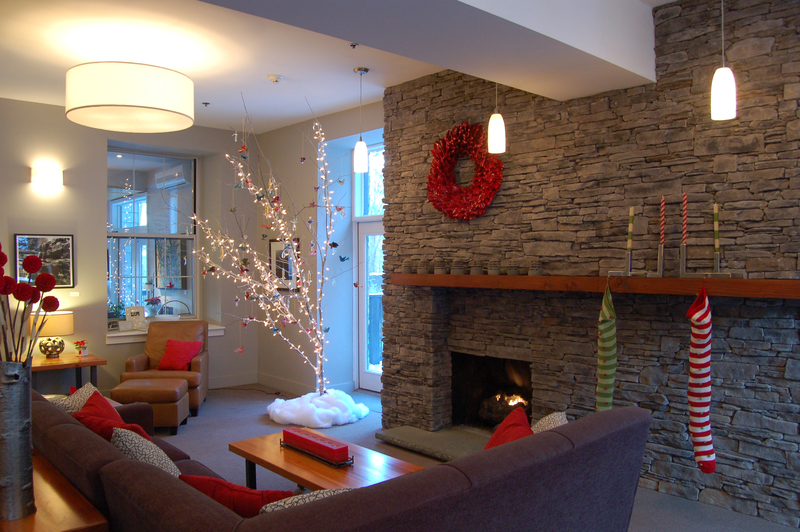 Photos courtesy of The Settlers inn.